Myrtle Buller, age 93, of Aurora, passed away Sunday, January 28, 2018, at Memorial Hospital in Aurora. Funeral Services will be held 10:30 A.M., Friday, February 2nd at the Evangelical Covenant Church. Rev. Karl Larson will officiate. Interment will be in the Aurora Cemetery. Visitation will be from 5 - 7 P.M. Thursday at Higby-McQuiston Mortuary. Memorials may be made to the Evangelical Covenant Church. Condolences may be e-mailed to the family through the mortuary website at www.higbymortuary.com. Myrtle Marie Buller, the daughter of Frank and Jennie (Ortegren) Anderson, was born at Marquette, Nebraska, on September 29, 1924, and passed away at Aurora, Nebraska, on January 28, 2018, at the age of 93. Myrtle’s childhood was spent on a farm near Marquette. She attended school at District 89 and graduated from Marquette High School in 1942. On December 12, 1943, she was married to Norman Buller at Marquette. They lived on a farm near Henderson until 1945 when they moved to the Aurora community. In 1955, they moved to a farm in the Monroe precinct where they lived for 11 years. In February 1966, they moved to Aurora where Norman built their new home. Norman passed away on June 16, 1966. Myrtle worked at Covenant Cedars Bible Camp near Hordville the summers of 1968 & 1969. From 1970 to 1977 she was a receptionist for Dr. J.S. Stanard. From 1978 to 1990 Myrtle was employed at the Christian Book & Gift and from 1990 to 1994 was employed at the Leadership Center and 1994 – 2005 at the Hamilton Manor. 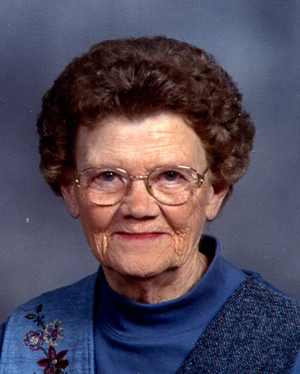 Myrtle was baptized and joined the Bethesda Church in Henderson in 1944. She later transferred her membership to the Evangelical Covenant Church in Aurora where she was a member until her death. Myrtle loved taking care of her yard especially growing flowers and vegetables. She was preceded in death by her parents; husband, Norman, brother & sister-in-law, Virgil & Nina Anderson and sister & brother-in-law, Irene & Isaac Bergen. Those who remain to cherish her memory are her daughter, Jennie (Ken) Roberts of Lincoln; son, Brian (Sue) Buller of Lincoln; 3 grandchildren, Kevin Roberts of Wyoming, Craig Roberts of Lincoln and Miranda (Andrew) Tupper of Omaha; 3 great-grandchildren, Ashlee Ford, Dylan Roberts and Dustin Roberts and 2 great-great grandchildren, Griffen Ford and Zoee Jones and nieces and nephews and other relatives and friends.